Stylebistro is all about celebrity inspired style, fashion and beauty. If you love candid celebrity photos and red carpet pictures of the celebrities wearing fashion designer gowns you should love stylebistro.com. Stylebistro is a sister publication of the entertainment web site zimbio. Stylebistro focuses specifically on celebrity fashion and style. It’s a great blog for that. The front page of the blog has nice jumbo sized pictures to look at and if you are just people watching and want to see the latest celebrity outfits it’s a great site to browse for fashion scoop. It has a wealth of celeb photos and they include both red carpet looks as well as candid looks of the rich and famous in their every day clothes, out and about shopping, coming and going from the gym, and even without makeup on getting morning coffee. You’ll see pictures of the rich and famous wearing high end designer outfits at events such as music awards and notable Hollywood parties. They also show plenty of side by sides of the celebs as well as music industry stars photographed in different looks and outfits. Read about celebrity hair styles, makeup, clothes, and accessories. 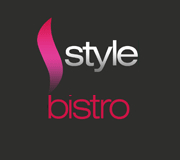 To pop up the site stylebistro and click the logo.